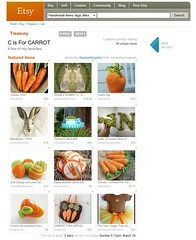 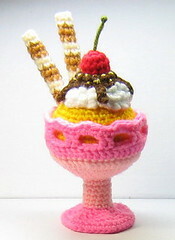 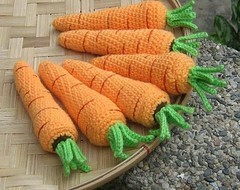 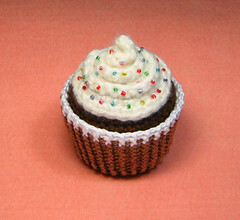 Today I learned that my Sundae amigurumi pattern is included in a treasury by Victoria of visart.etsy.com. 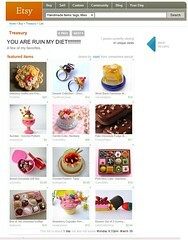 She is a jewelry designer based in Israel and she makes beautiful clay beads. 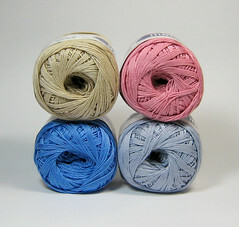 Here are the colors of crochet cotton thread I have and can get for you :) These are mercerised cotton, size 8 (the same kind that I used for the paper cup of the cupcake pattern I designed). 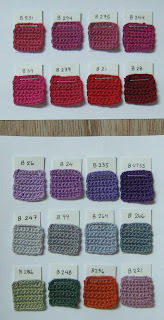 Last June, I had a big project and I needed to get all the colors available, but the store won't sell me a color card. 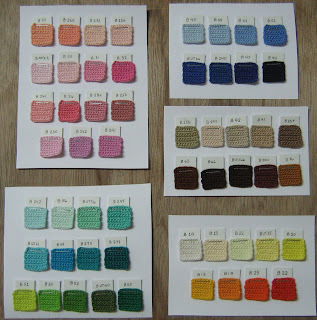 So I purchased all solid colors and made color cards myself (you may click on the photos to enlarge). 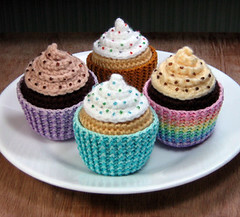 Crocheting all these little squares took an entire day! 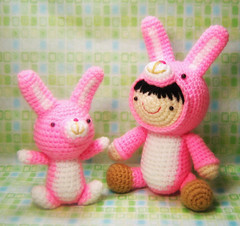 Another new version I finished...this pattern had the most revisions (from the old version I wrote in 2007).